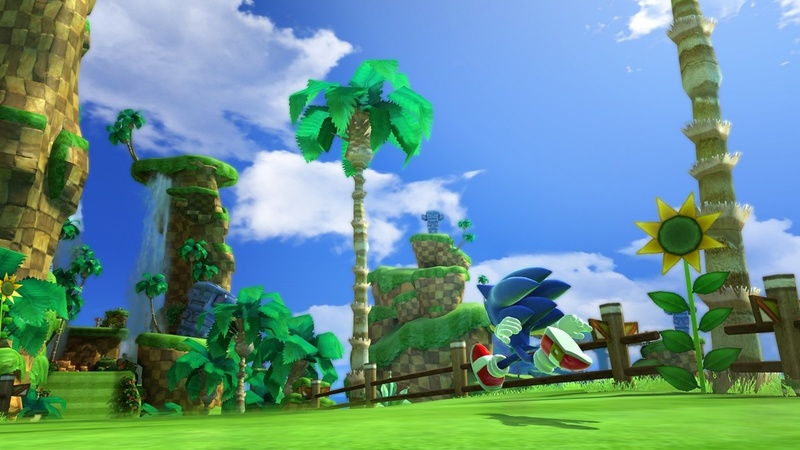 For some reason when I see Mario 3D….it feels like a backwards version of what happened when Sonic went to 3D . _. How is Spyro topping Sonic? Do the little Sypro figures have anything to do with it? Only the software sales would count for the new Spyro game. Spyro’s higher sales could be down to the game being released in October, giving it a full week of sales last week compared to Sonic Generations’ 2 days. Spyro is also available on 5 platforms compared to Sonic Generations’ current 2. I thought people said spyro was dead? So I’m guessing he’s not? Nope. Activision released a new game called Skylanders: Spyro’s Adventure last month. Wait but this is just the start of him comming back right? I’d rather have Spyro dead than have that game. It’s probably a good game in it’s own right, but the inclusion of Spyro is just so unnecessary. And the redesign of Spyro too. Seriously, compared to that, I don’t know why anybody is still making complaints about Modern Sonic. MW3 is going to be No 1 next week. I know it! because it’s COD and a new COD always gos to No 1 when it comes out. I’d imagine Sonic games don’t have the huge sales spike of day one, and then a huge drop off, as all the big-budget AAA titles with guns do. Kids don’t pre-order games. It’ll have solid sales over the Christmas period, with parents looking for presents for their kids, and kids spending their Christmas money etc. This kind of game tends to have more steady sales figures, rather than selling a huge amount on the day of release. To be honest i think alot of people such as myself are buying it for Xmas day, so the sales will pick up in december, just look at colours that was low in charts but by december it went up. Besides gaming today has changed , titles like sonic are the big hitters for kids, the games for kids that kids are loving and buying strangely is Modern warfare 3. Besides gaming today has changed , titles like sonic ARENT the big hitters for kids, the games for kids that kids are loving and buying strangely is Modern warfare 3. Don’t worry if they can’t accept this that you like Sonic they are not true friends. That’s very disappointing to read. I’m very lucky to have friends to don’t mind my obsession with the blue dude. And I’m 20 and they’re 20! The best thing you can do is ask what else are they into. Is it just CoD? Or are they into other games and see you and them like. I expect Generations to hit the 2 million mark. If SG was on Wii/Wii U too, then I would’ve expected Generations to hit the 4 million mark, maybe even higher. So true about the gaming audience as of late. Its hard to figure out what people like anymore. Its all left up to the audience who picks up the game, and we go from there. SK72 is correct about today’s younger audience. The retail PC version isn’t due out until later in the month like the 3DS version. Hope you’ll enjoy it more with a controller. I bet Sonic Generations will increase further because of the 3DS version, if not then its good to see Sonic in the top 10 list. The game placed 10th in the Top 10 All Formats, which is the main chart. You’re referring to the format specific charts. I’m absolutely not surprised at all, the timing of the release was the worst possible for Sonic Generations. I mean: BATTLEFIELD 3, UNCHARTED 3 , FIFA 12 and BATMAN: ARKHAM CITY. Sonic Generations had to face all those beasts! For me, Sonic Generations ANY DAY. I’m not surprised that Sonic Generations scored moderately in Europe. After all Sega did give them that Collectors Edition which is ONLY available in Europe and Australia. http://goo.gl/ObSN5 This explains the sales numbers. The real question is how the game is selling in the US and Japan. How well does Sonic sell in Hajime Satomi’s backyard?